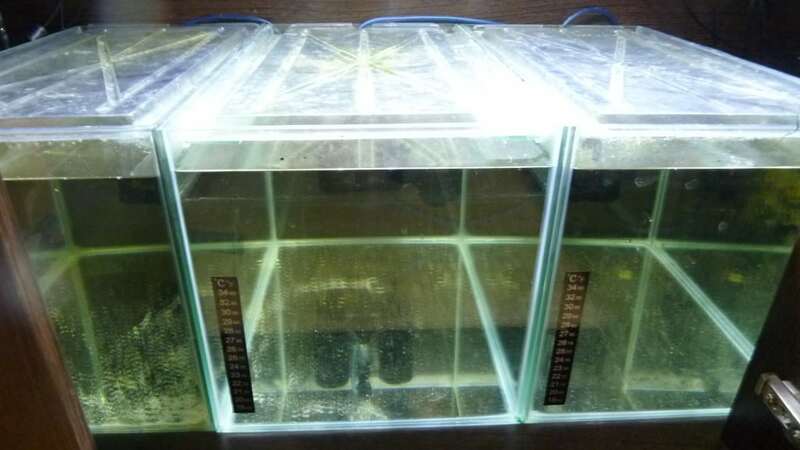 For us, one of the most interesting and fulfilling parts of the tropical fish keeping hobby is when your fish breed and you see new life forming and growing in your very own home aquarium. 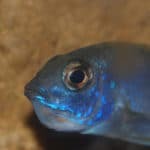 Many fish will breed in the home aquarium given the right environment and surroundings, some a lot easier than others. 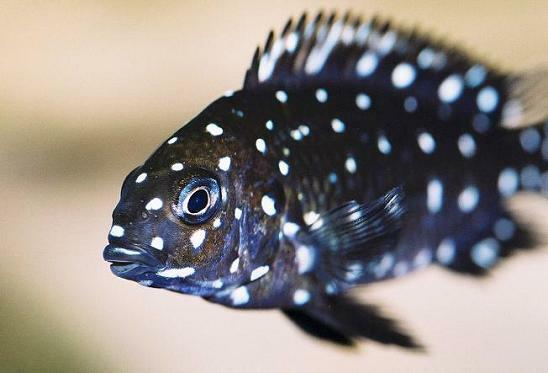 One of the most prolific breeders is the Convict Cichlid from Central America – it is in fact advisable not to keep a breeding pair of these as you will end up with too many fry too quickly! As a group, livebearers are also easy to breed and some beautiful colour variations can be achieved. 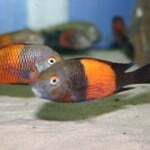 In this article we are going to focus on African Cichlids and how to best set up a tank for them to successfully breed. When we refer to African Cichlids, they are from the rift valley in south Africa and mostly from lake Malawi, lake Tanganyika and lake Victoria. As a group they are mouth brooders which means the female will produce eggs, the male will fertalise and the female then holds these eggs in the mouth for around 4 weeks until the fry are free swimming. As a general rule the female will not eat for this pregnancy period and will often hide away. 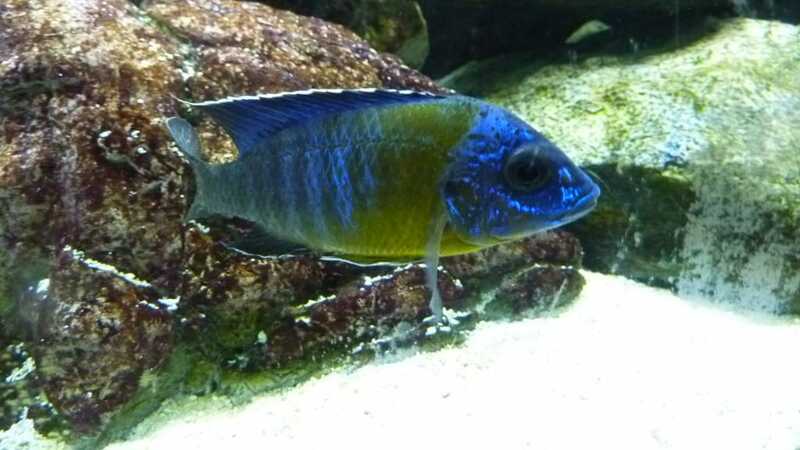 The easiest and best way to spot a pregnant African cichlid is you will see a bulge at the bottom of the mouth and will be easily spotted during feeding time as they will normally not be going mad at the front of the tank and chasing food when you have put it in. 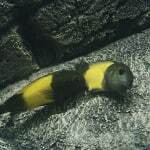 It is a slight grey area as to whether you should catch the pregnant female and put her in a holding tank during pregnancy, this is because the stress of being away from the normal surroundings and tank and being in an empty tank may stress the female out to the point of her swallowing or spitting the fry early. Having said that, the argument for taking the female out is that if she gets stressed from other fish she may also spit the fry too early or the fry could be eaten by the other fish in the tank once they are spat at the right time. Form experience I would recommend leaving any pregnant females in the tank they were originally in, however for the fry to survive ensure there are plenty of hiding places in the tank for when the fry are released. 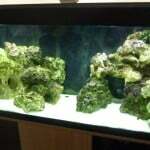 The best method for this would be to use ocean rock as part or all of your aquascape. Most pieces will have small hiding places in them or hiding spaces will be created when you stack the rock up. So this brings us on to the best conditions you can give the fish to help them to breed. There is no right or wrong answer to this, it generally comes down to what you have experienced and what works for your specific fish. As a guideline though water conditions are key and you should ensure the pH level and water parameters are as they should be. 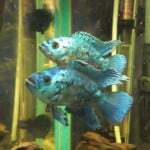 Generally a pH value of around 8.0 is prime for African cichlids with a temperature of 26-27 degrees Celsius. 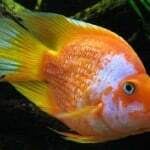 For specific fish conditions please take a look at the fish profiles of the fish you keep or are planning to keep in our tropical fish profiles area. 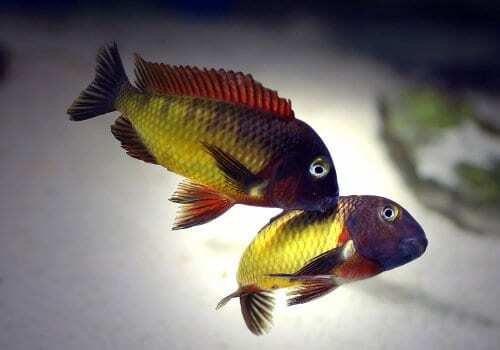 With regards to stocking levels it is always a good idea to over stock and over filter an African cichlid tank to try and reduce targeted aggression amongst the fish and having several females to one male is strongly advised so there aren’t fights between males trying to become the alpha male and so that no single female is constantly being harassed by the alpha male. Due to overstocking of the tank and although it may be over filtered, regular large (40-50%) water changes are a must, getting in to a routine of changing 50% of your water every week will put you in a strong position as any Africans I have kept seem to love a water change and will try breeding when you do a water change. 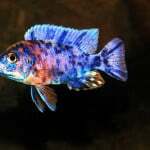 The key to successfully breeding African cichlids is to leave them to it. If you change the aquascape too often and play around with water parameters etc. too often then this will simply stress the fish out. It would be like someone coming and moving your furniture round and turning the heating off and on in your home all the time, no one would like this! Having strong blood lines and wild or F1 fish will always lead to a healthy batch of fry too. Please see our article about the definition of F1 and F2 if you are unsure of this. 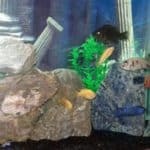 You may pay slightly more for these fish however the results will always be better and healthier fry will be spawned. When any fish, especially African cichlids do breed in your home aquarium and you see your very first fry freely swimming around it is extremely satisfying and makes all the cash you have plunged in to this hobby worth while!